Jamaica is one of the most romantic destinations in the world for couples. Surrounded by uncompromising comfort and first-class luxuries, it isn’t easy to decide what resembles paradise more, the pristine white-sandy beaches, the majestic mountains, or the beautiful scenery. An all-inclusive holiday at Couples Resorts offers you and your loved one unmatched excursions, unlimited activities, superior dining, and so much more. Here is why Jamaica is the most romantic Caribbean island! Jamaica is paradise on earth! Its beaches are the most romantic setting for couples to spend time together. There is nothing quite like swimming in Jamaica’s crystal clear waters. Visit the Seven Mile Beach in Negril and take a romantic sunset walk along the longest stretch of beach on the island. While an all-inclusive holiday is perfect for you and your loved-one to unwind, Jamaica is the ideal Caribbean island to explore too! 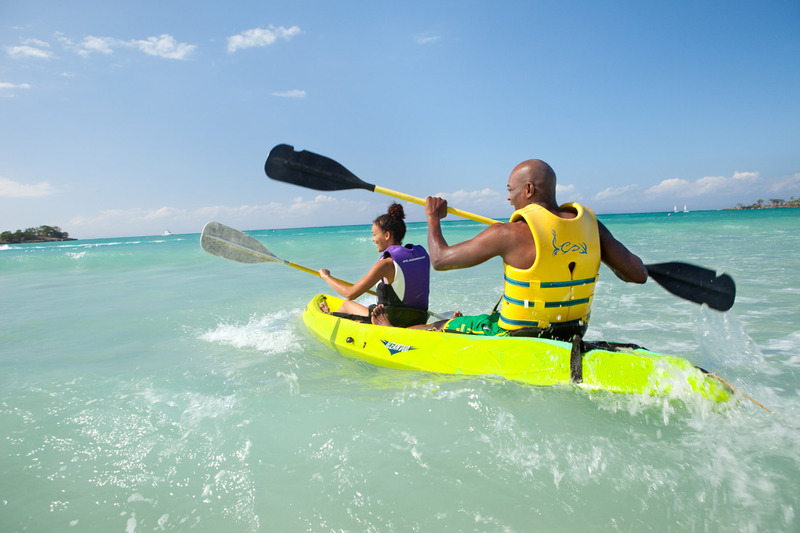 Complimentary excursions are included at Couples Resorts and run daily to some of Jamaica’s best-loved attractions, including Dunn’s River Falls and Margaritaville. 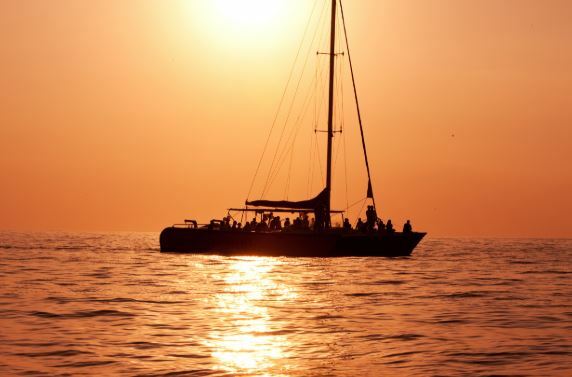 Sail around Jamaica’s coast on the sunset catamaran cruise. You will see magnificent views and the most magical sunset. What’s more romantic than that? Rafting on the Martha Brae is another excursion that sets Jamaica apart from the other Caribbean islands. Imagine being steered lazily down the charming Martha Brae River, on a bamboo raft for two, surrounded by lush tropical flora, and the soothing sounds of the animal kingdom fluttering above and swimming down beneath you. A holiday to Jamaica offers you the opportunity to experience the Caribbean’s first and only all-inclusive, unlimited spa – Oasis Spa Villas at Couples Tower Isle. This one-of-a-kind experience provides boundless opportunities to rejuvenate and pamper without the stress of additional costs. Enjoy a dreamy couple’s message in the luxury of your own private villa. Why Jamaica is the most romantic Caribbean island? Well, it has some of the most amazing restaurants! Couples Resorts, Jamaica, strive to delight guests’ palate with an array of delicious dishes at breakfast, lunch and dinner. Jamaican food is one of the major draws for the couples that return year after year. 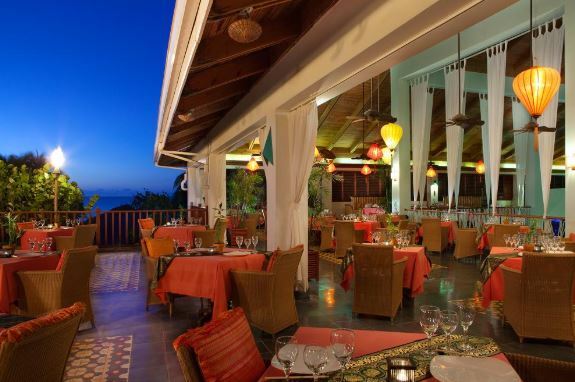 Guests can experience fresh local seafood, island produce and traditional Jamaican spices at the multitude of restaurants on offer at each resort. All dishes are created and refined by internationally acclaimed chefs, you are guaranteed a first class dining experience.